Take a look at our interactive city bike map and download printable maps. The City of Colorado Springs is home to an active and vibrant bicycling community. The City’s bike program is guided by the Bike Master Plan and funded in part by a self-imposed bike tax. Improvements are constantly being made to bicycle infrastructure and route connectivity, and the City supports bike education and encouragement programs and cycling events. With over 100 miles of on-street bicycle routes, nearly 120 miles of urban bike trails, and more than 60 miles of unpaved mountain bike trails, Colorado Springs is committed to ensuring that biking is a convenient, safe, and connected form of transportation and recreation. 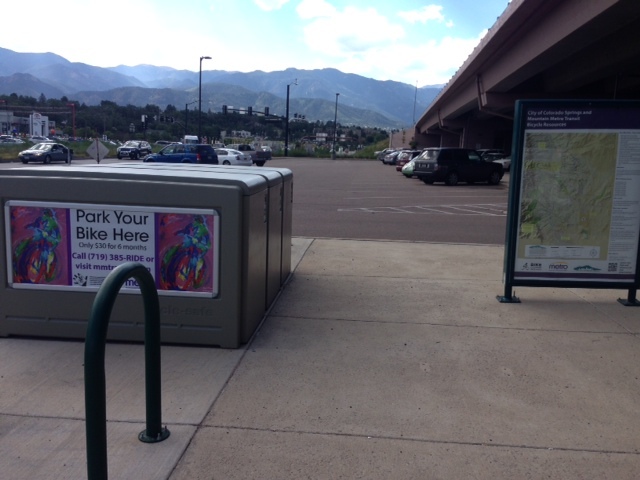 Learn more about PikeRide, Colorado Springs’s new bike share program that launched summer 2018. PikeRide is a program of Downtown Ventures, the charitable nonprofit arm of Downtown Partnership. For more information visit www.pikeride.org. Thinking about using your bicycle to get around Colorado Springs? We've got lots of resources to help! Be sure to check out our interactive bike map. It shows you where to find bike routes, lanes, trails, and places where you can use the shoulder. 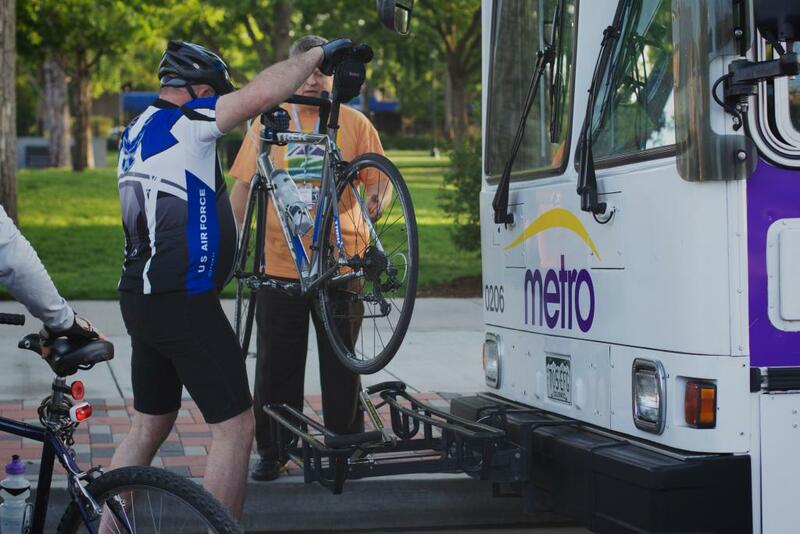 Don't forget, the Bike-and-Bus program allows passengers on Mountain Metro Transit can use their bikes for part of the trip and the bus for the rest. We also have bike lockers conveniently located throughout the city so you have a safe place to store your bicycle and gear. Or maybe you prefer to use a bike rack instead. We've got lots of them downtown.